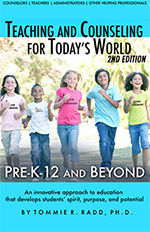 eBooks of the Grow With Guidance ® System (NOW INCLUDING TEACHING AND COUNSELING FOR TODAY’S WORLD PRE-K-12 AND BEYOND SECOND EDITION) are availabe! All of our eBooks are viewable on any PDF-enabled system (computers, iPads, iPhones, Kindles, etc.) and are Whiteboard/SMARTboard compatible! Click here to see all our eBook titles at our distributor’s website, or click below to view a specific eBook. 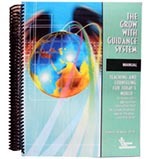 The Grow With Guidance System includes everything you need to implement an effective, comprehensive, performance-based guidance system, appreciated by educators and students alike. Complete Observation/Evaluation Instruments; Information to be duplicated; Children’s Affect Needs Assessment (CANA); Invitational Teaching Survey (ITS); Standards Framework; Formulas and much more. 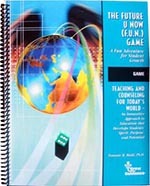 Our system game provides practice and enrichment for important system concepts in an effective and enjoyable way. Game best for Intermediate through High School Levels. Materials provided in English and Spanish. Enjoy! Our system music provides practice and enrichment for important system concepts in an effective and enjoyable way. Music best for Primary and Intermediate Levels. Materials provided in English and Spanish. Enjoy! 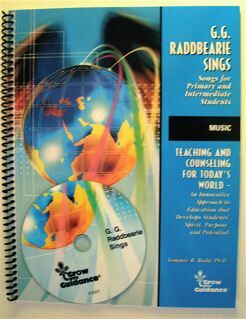 Classroom and Small Group Activities for Teachers, Counselors, and Other Helping Professionals: Volumes I and II.